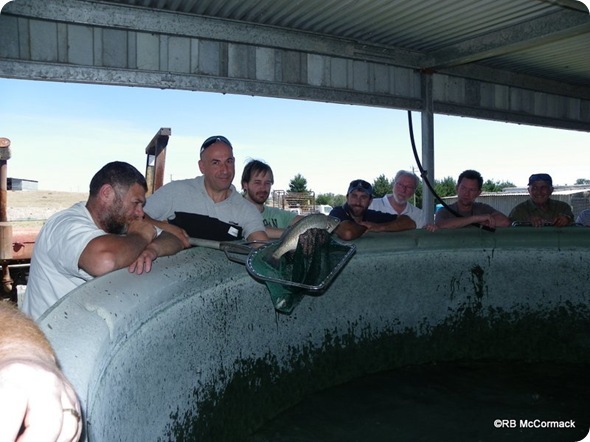 In October 2012 the NSWAA held a field day at Mike Spiteri’s, Hebden Fish Farm near Singleton, NSW. Approximately 30 registered for the day which was sunny, hot and a bit windy. 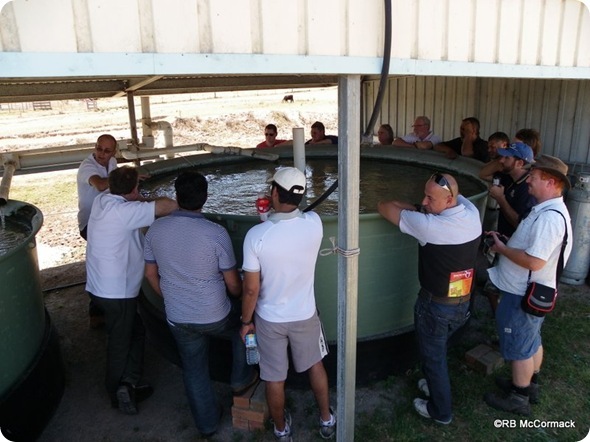 Our President Paul Van der Werf started the field day on the banks of the water storage dam that is the source of water for the farm and then moved down to the recirculating aquaculture system. We all gathered around the tanks, discussing the system design and construction. Mike showed us how the tank/system plumbing works and started draining one of the tanks for us. We then moved onto the engine of the system see and discuss the sumps, pumps, physical filters and bio filters, etc. Paul explained the function of each piece of equipment with a general discussion on best industry practice and what’s best to use for which system etc. 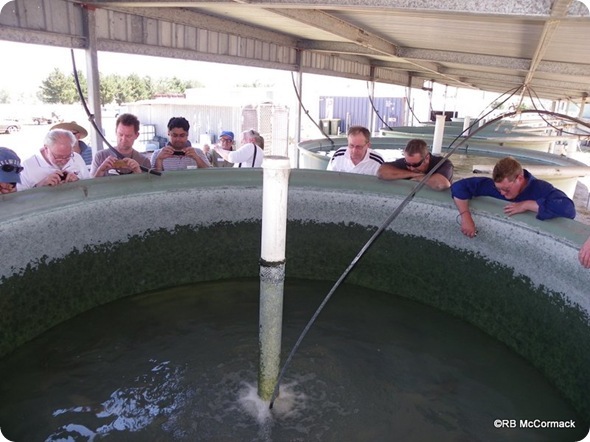 We all looked at the fish and yabbies and saw and discussed feeding and growth of the aquaculture produce. Once of the tank was partially drained we gathered around the tank, watched the fish and Paul discussed the handling and preparation of fish for sale and the markets/prices etc. Mike then showed us how to use “AQUI-S” to anesthetize fish. We were all able to catch and hold the stock from the partly drained tank once the anesthetic took effect. 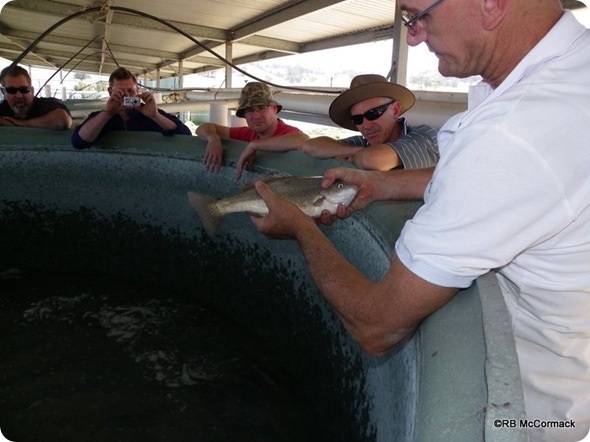 Rob McCormack talked about fish breeding with general discussions of fish breeding habits in the wild and then how to manipulate them for commercial breeding purposes. 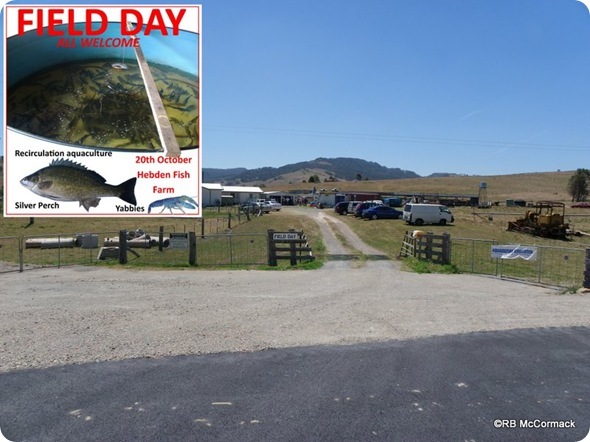 Next followed a talk on building a commercial fish hatcher followed by a quick look though Mikes Silver Perch hatchery. 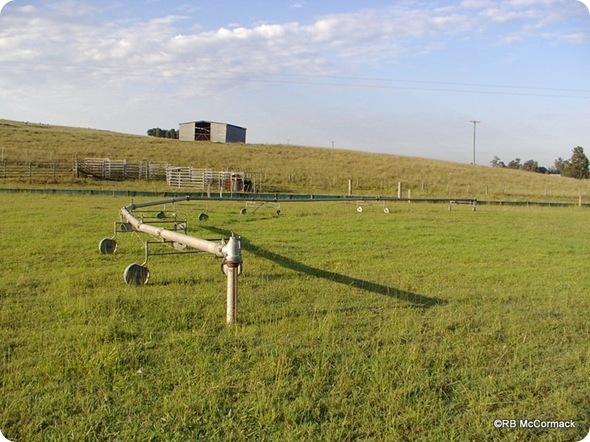 Any excess water from Mike fish farm is irrigated onto a paddock to supply grass for his cattle which are also part of his overall farming business. 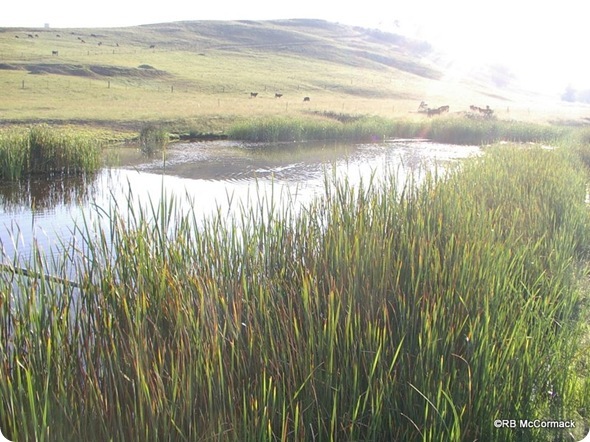 As part of any aquaculture operation disposal of excess water must be conducted in an environmentally friendly manner. A large general discussion followed with much interest in hydroponic and aquaponics with excess water from the fish system being used to grow vegetable or herb crops. A good day was had by all and we are thankful to Mike Spiteri for making his farm available to the Association and to our President Paul Van der Werf for sharing his wealth of knowledge with us all. Another field day is planned early next year so I hope you can all join us for that one.